Sgt. 1st Class. Liam Jules Nevins, 32, of Denver, Colo., died Sep. 21, of wounds received from small-arms fire in Paktika Province, Afghanistan. He was assigned to Company B, 5th Battalion, 19th Special Forces Group (Airborne) in Fort Carson, Colo., and was deployed in support of Operation Enduring Freedom-Afghanistan. This was Nevins’ third deployment to Afghanistan. 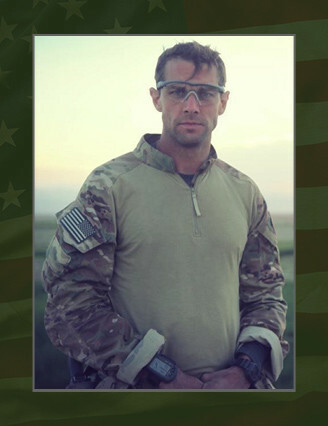 Nevins was born on Sept. 11, 1981 in Middlebury, Vt. Nevins enlisted in the U.S. Army under the delayed entry program prior to his graduation from Bristol Borough High School. Upon entering active duty, he was assigned to Co. A, 2nd Bn., 504th Parachute Infantry Regiment, 82nd Airborne Division, Fort Bragg, N.C. Shortly after being promoted to the rank of sergeant, he deployed with Co. A in 2003 as a rifle team leader in support of Operations Enduring Freedom – Afghanistan. He completed two more deployments to both Iraq and Afghanistan in 2004 and 2005. After leaving active duty service, Nevins attended Metropolitan State College of Denver from Aug. 2006 to May 2009. At Metropolitan State College he received a Bachelor of Science in business finance. In May of 2009, he enlisted into the Colorado Army National Guard as a future Special Forces communications sergeant. Nevins attended the Special Forces Qualification Course at Fort Bragg, N.C. from Jan. 2010 until his successful graduation in Aug. 2011. He was then assigned to Co. B, 5th Bn., 19th Special Forces Group (Airborne) in Fort Carson, Colo.
His military education includes Basic Airborne Course, Primary Leadership Development Course, Advanced Leaders Course, Static Line Jumpmaster Course, Reconnaissance Surveillance Leaders Course, Ranger School, Arabic Special Operations Language Training Course, Special Forces Qualification Course, and the Special Forces Advanced Urban Combat Course. His awards include two Purple Hearts, three Army Commendation Medals, two Army Achievement Medals, Valorous Unit Award, Meritorious Unit Commendation, Good Conduct Medal, National Defense Service Medal, three Afghanistan Campaign Medals, Iraq Campaign Medal with Campaign Star, Global War on Terrorism Expeditionary Medal, Global War on Terrorism Service Medal, NATO Medal, two Noncommissioned Officer Professional Development Ribbons, Army Service Ribbon, Army Overseas Service Ribbon, Special Forces Tab, Ranger Tab, Combat Infantryman Badge, Expert Infantryman Badge, Parachutist Badge, Colorado Meritorious Service Medal, and the Colorado Active Service Medal. He was posthumously promoted to sergeant first class. He is survived by his mother, his father, two sisters, and his fiancé.